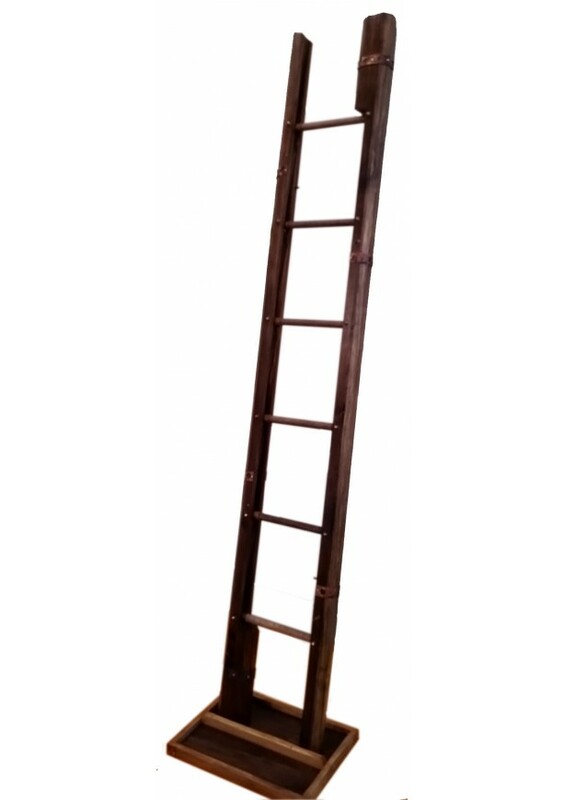 The Thomas Jefferson Collapsible Folding Ladder. 18th Century Design. Functional Art/Antique. 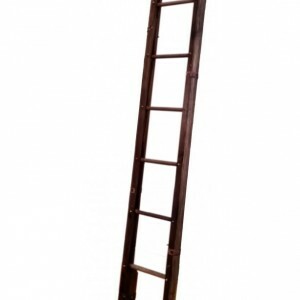 This antique recreation follows the mathematical principles of the original Collapsible Folding Ladder maintained at Thomas Jefferson’s home at Monticello. 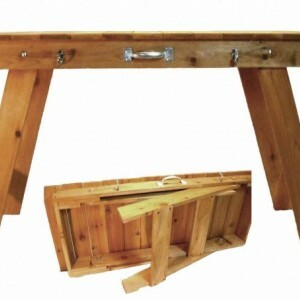 This piece is actually a collapsing parallelogram. 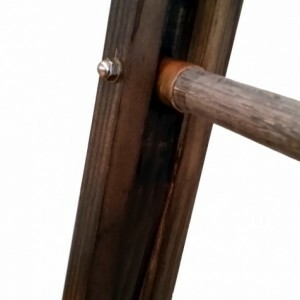 The side rails are grooved to receive the oak rungs and the rungs are held in place with brass threaded rods. 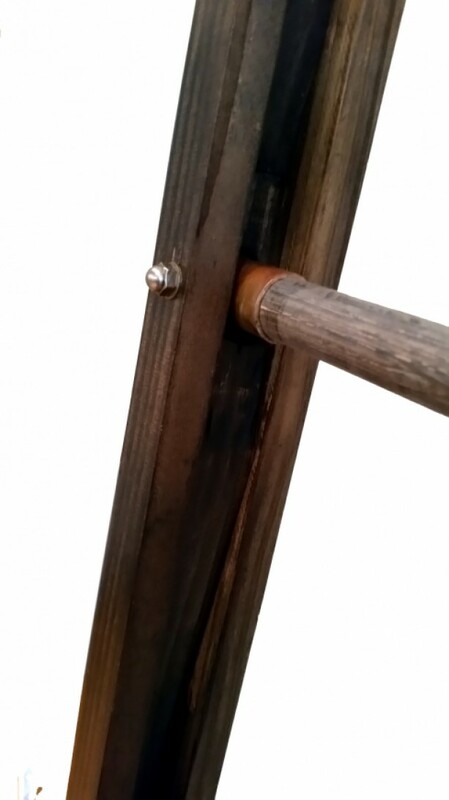 The rungs pivot on the rods which allow the two side rails to fold up and come together forming a singular pole. 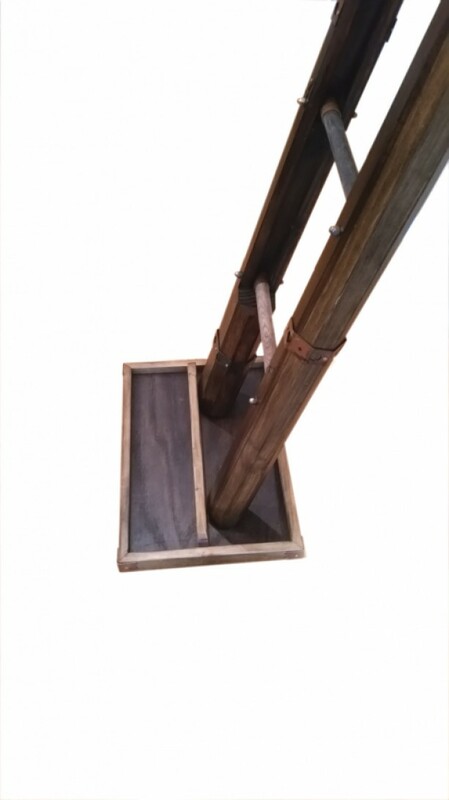 The ladder is finished with a unique organic combination of apple cider vinegar, coffee, steel wool, and stove ash. This finish combination gives the wood a century’s old appearance: as if the ladder was just found in an old and forgotten study or library room. 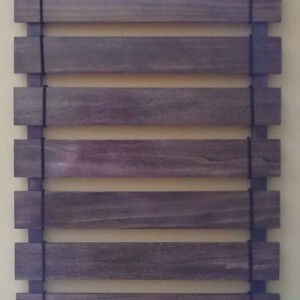 Three coats of a hand applied satin finish spar urethane give the piece a soft and warm appearance. 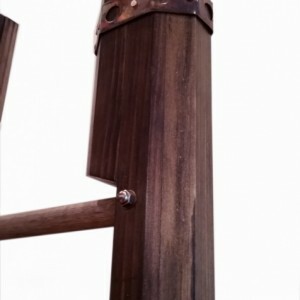 Antiqued copper wrapping is used for decoration around the two side rails. 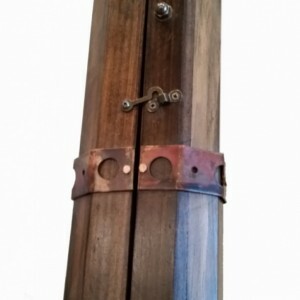 Antiqued copper collars are used on the rungs to provide additional strength and support. 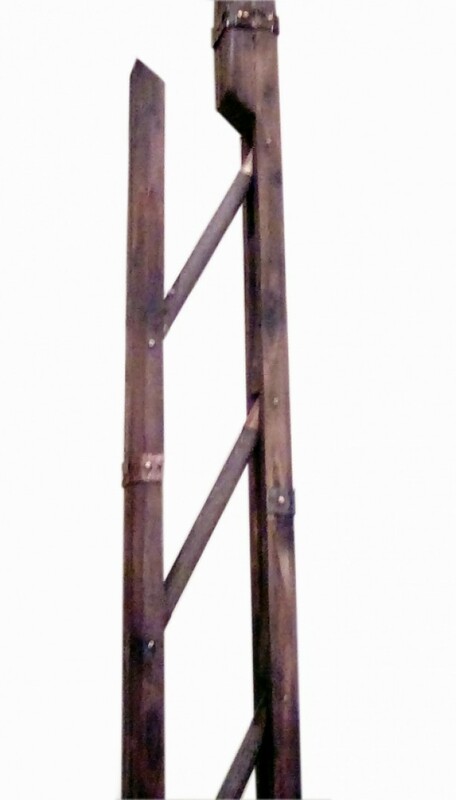 This ladder is intended to use even though it appears to look over two hundred years old. 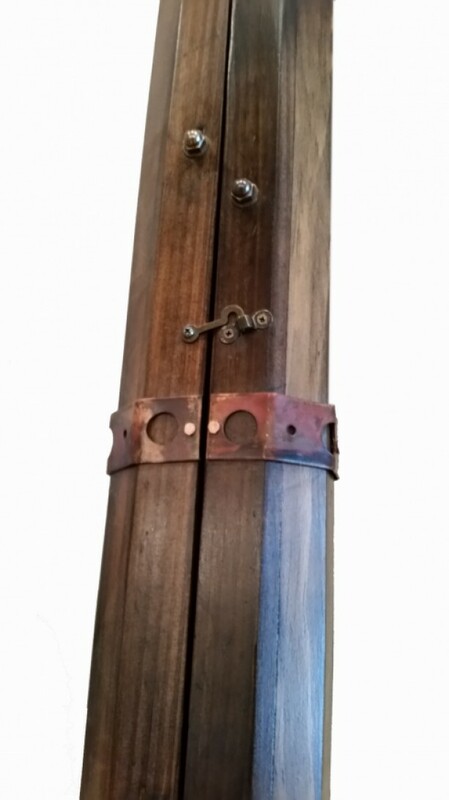 Brass threaded rods with antiqued/aged brass acorn nuts are both decorative and functional by securing the oak rungs in place but at the same time allowing them to pivot and collapse when the ladder rails are brought together. The non-slip base is a modern-day addition. 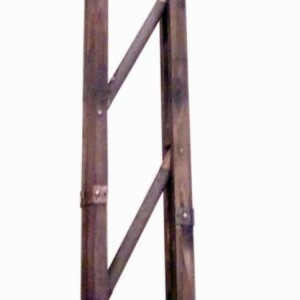 The ladder has no gripping feet so it must be placed in a base that prevents the ladder from slipping out from under you. 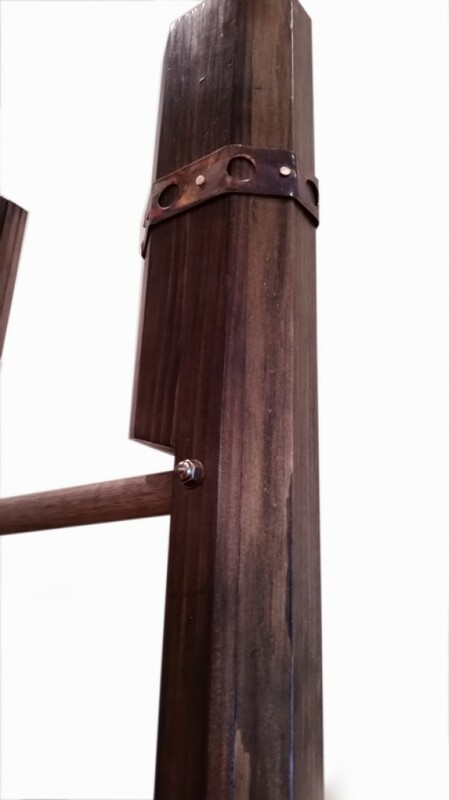 The base is created in the same manner as the ladder so that the pair looks as though they’ve traveled the distance of time together. 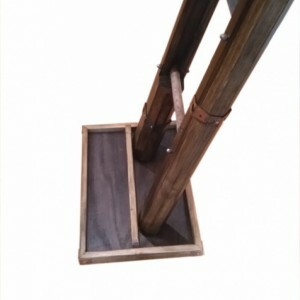 A great historic and decorative attraction for any home and an even better conversation piece.